Be curious, be authentic, and find similarities! Boost Your Likability! Because it pays to be likable. Especially in a negotiation! 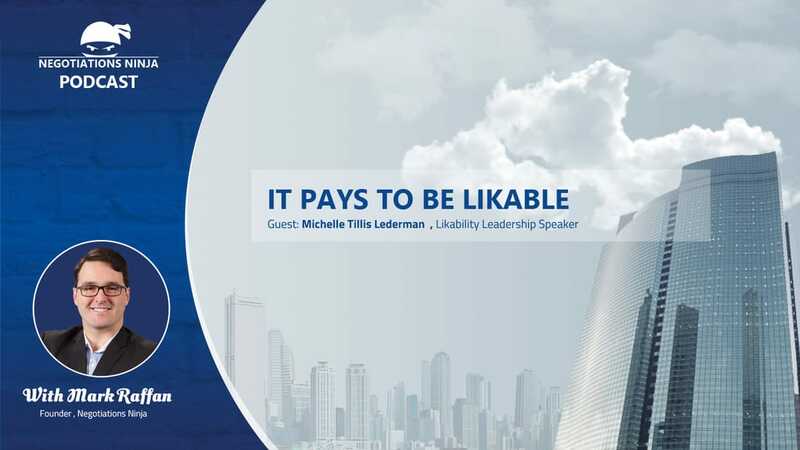 ​Michelle Tillis Lederman is one of Forbes Top 25 Networking Experts. We focus on one of her books: The 11 Laws of Likability. She has appeared on NBC, CBS, Fox, and NPR. She’s been featured in the Wall Street Journal, NY Times, Working Mother, US News & World Report, USA Today, and CNBC. This is the 2nd of 7 interviews that I did live in the speaker’s room at WIN Summit.